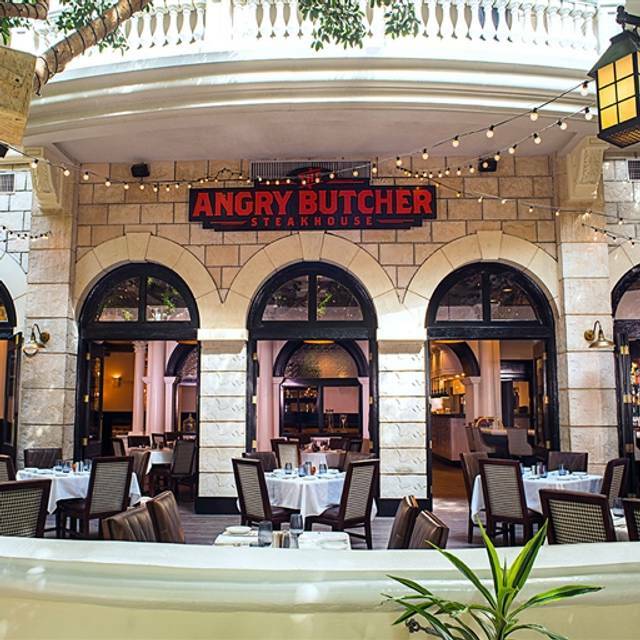 The Angry Butcher is a modern take on the classic American steakhouse, pairing signature dishes with contemporary options. Located inside Sam's Town Hotel & Gambling Hall. My guests' and I all agreed that we were very happy with our visit. Except for my prime rib being tough, all other food was great. Pricey, but the large portions served made it worth it. And the tough prime rib was quickly returned to the kitchen by our waiter (who was very, very attentive and pleasant) and a fresh plate was brought to me. The overall visit was pleasant and relaxing. I was pleased that my guests gave the Angry Butcher plenty of compliments. Food was excellent and servers and chefs were very attentive to allergen issues. Dinner at the Angry Butcher was solid. If you have food allergies/sensitivities beware. We couldn't get potatoes or green beans without the butter. The service was good. Wonderful food!!! From appetizer to entree you can’t go wrong. Prices are in line with other steakhouses. Great service! Fantastic food! Huge portions..consider sharing dishes. Used to getting much higher quality food from a Steak House in this $$$ range. Service was excellent the food (prime rib) mediocre at best. For a dinner for 2, the prime rib should have been prime not choice. Great food and service!! We will be back for sure. I love it! Have been there several times. The Rib eye always cook to perfection. great food and we were there to see the show. Wonderful!!! The Angry Butcher is one of my favorite restaurants! This setting at Sams Town, with the Beautiful Atrium and Water And Light Show, makes for an Amazingly Spectacular Venue! The Food and Service have been consistently Excellent every time I’ve visited! The Servers we’ve had have all been Too Notch as well. I have recommended this to all those I know, and raved about it on FB! We sat “outside” and it was beautiful. Ordered steaks and asked for medium rare, my boyfriends came out medium but it was still good, mine came out well done and was a little like shoe leather. We had a wonderful experience. Our server made great suggestions as to our food selections, she was friendly and professional. The food was perfectly cooked & seasoned. Definitely worth the price. Lovely atmosphere. Can’t wait to dine there again. Great food, excellent service. We are never disappointed. Excellent food and service! Ambience was wonderful. The restaurant has really good food and really great service. We ate here twice during the week that we spent in Vegas. The menu is a bit limited, but everything we ordered was wonderful. We plan to visit here again the next time we go to Vegas. It was my parent’s 50th wedding anniversary. It was absolutely perfect. Debby is the MAIN reason we continue to go to this restaurant. She is funny, delightful, courteous, and all around a great lady. Very good food, great service from all, Anna, Jonathan and Alma. Had a great meal with excellant service and will definitely return. Beautiful venue in the atrium with patio seating. The service is friendly, prompt and professional. The very best meal we had after 4 nights in Vegas. Oysters Rockefeller, French Onion soup were delicious starters. Our entrees of Prime Rib, Shrimp and Scallops were cooked to perfection. We can't wait to go back. We are here twice a year and make a point to eat at the Angry Butcher. Never disappointed. Always a nice experience. Friendly staff and great foot. We love The Angry Butcher! We always make it a point to go at least twice, when we're in town. The service is perfect, very enjoyable in fact, due to the wonderful people who work there. There is never a dull moment at the Angry Butcher. We have tried several different dishes on the menu, and would recommend all of them. Wonderful bar service, great wine selection. All in all a perfect place to dine. From the very beginning our server was very abrasive. I asked about substituting something instead of salad and it was a firm NO! My wife ordered her salad with no cucumbers as she is allergic. Sure enough her salad came with cucumber. Another salad was brought, correct this time by a runner. Our server said did they fix that salad? Not even an apology. Then the steaks were mediocre at best and the buttery mashed potatoes were seriously lacking butter! It was our last night at Sam's and didn't feel like venturing out...wish we would have!!! We loved Angry Butcher. We went there for my husband's birthday dinner and it turned out very nice! Great value and our busser and waiter were great and very attentive. It’s a little too loud from the outside. Lighting is perfect for a date night. Just can’t hear the music in the restaurant. We will go back. The food was cooked perfectly. Try the seafood! We truly enjoy at Angry Butcher. 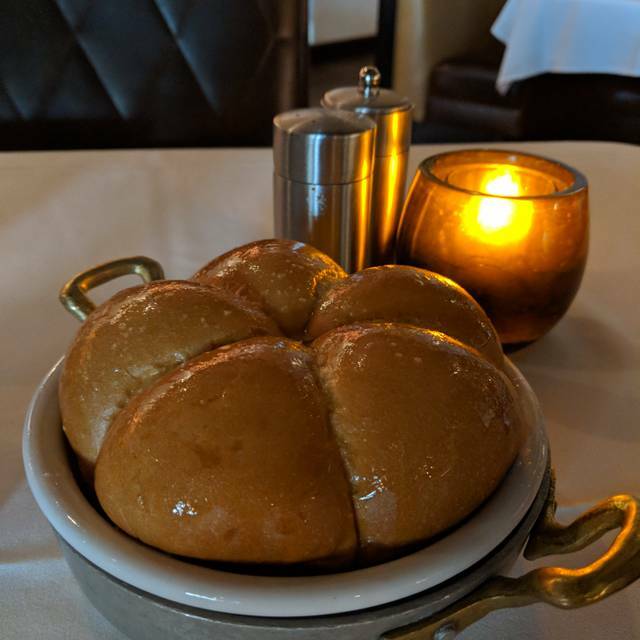 Impeccable service and delicious food. The waiter was very attentive and funny. The food was good and I appreciated that they had a meal that included - salad and meal for one price. It escape good and I would definitely come back. Lovely dinner, nice atmosphere, great service. Would definitely recommend. The Angry Butcher has good quality steaks, and prepared to your liking. The service was ok, except that it took some items more than normal time to arrive and receive more attention to their customers. Being short staff is not a good reason for not insuring their customers are being cared for. Very good food. Nice and friendly table services . 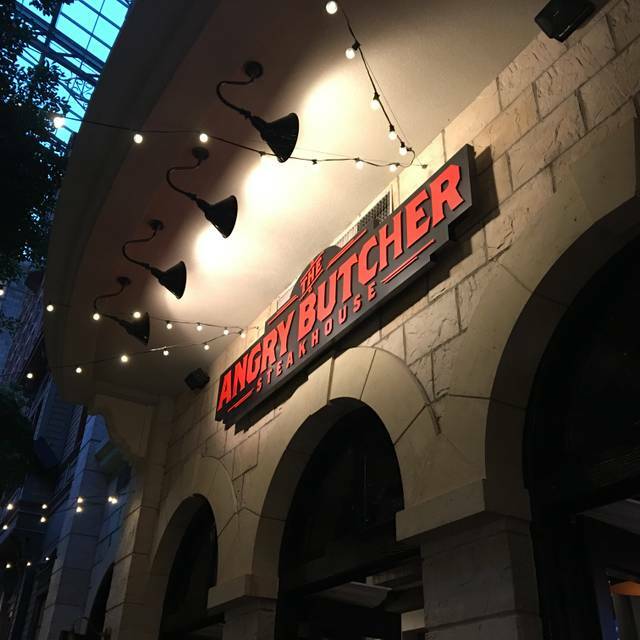 Angry Butcher is a great steak house! The food is so good and the servers are very helpful! We have been there 3 times now each time we have stayed at Sam's Town. 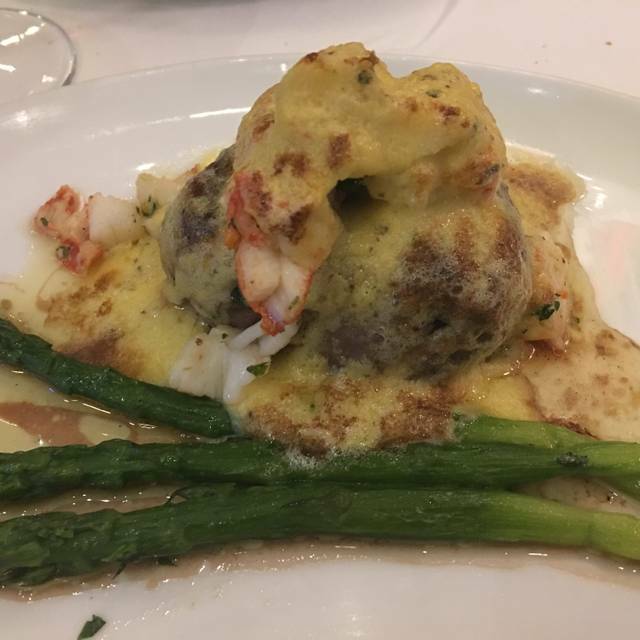 We didn't plan to order the special Valentine's Day menu, but we did and were definitely not disappointed with the filet, lobster tail, and dessert included! Great food, great price, I went there for Valentine's day and was very happy. We had a very nice waiter who made our Valentines Day special. The food was delicious. Couldn’t ask for anything better. Angry Butcher provides a very affordably priced meal in a NICE venue! The servers and other people are friendly and helpful and the food is very good. Disappointed this time. Although service is always slow at this restaurant, it was exceptionally slow this day. We had 4:00 reservations and the restaurant was nowhere near full, yet we didn't get out until 5:30. Waited forever for main course only to find our medium rare steaks were more than well done. Overall not our best experience. This was a pleasant surprise for us and we returned on our last night in Vegas. The staff were friendly and very helpful. 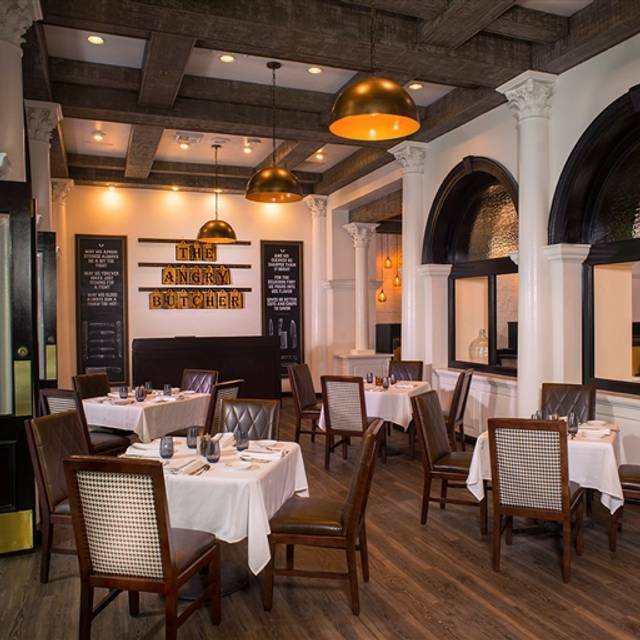 The food was undeniably the best we've had, and the service was exemplary. Thank you.